Sarees are great options for all occasions whether you’re heading to a family lunch or prepping for a work meeting. We found a small saree boutique in South Kolkata that sells them at both wholesale and retail rates. So go ahead, get a jump-start on summer saree shopping. Ektu Alada (literally meaning "a little different") is a small, unassuming store near Rashbehari Avenue. We stumbled upon it and fell in love with the breezy cotton sarees (perfect for summers). 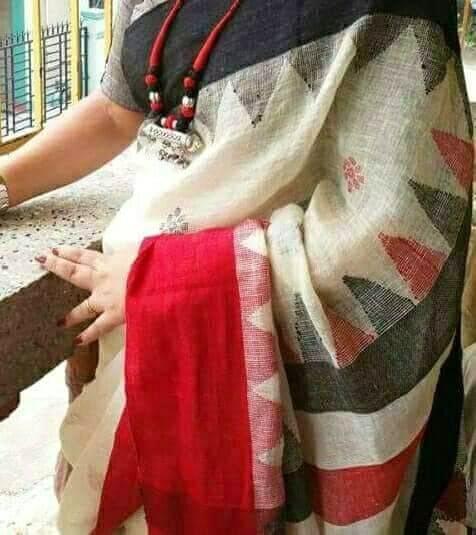 From woven jamdanis to temple-border red and white typical Bengal sarees, their range is high on comfort. For a touch of whimsy, check out the ones with pom-poms on the anchal and pallu. If you like a pop of colour, their silks are good to amp up your ethnic look. Pick up a six yard drape in silk with contemporary squares - and make a statement with ease. These are perfect choices for attending a festive occasion, parties or a special dinner out. Prices are easy on your pocket (they offer prices at both retail and wholesale rates) and start from around INR 800. The space is really small and a tad unkempt. They also sell their sarees on their FB page in case you don't want to travel all the way to their store.